Brand Unbranded MPN Does not apply EAN Does not apply UPC Does not apply EAN Does not apply. Model: Ipad 2 Wi-fi 16GB. - Compatible Model: Ipad 2 Wi-fi 16GB. - Type: Empty Box. ● Premium finish with white shiny colour. It is thenArgos' responsibility to inform you once your parcel has arrived and is ready for collection. ● Cable length of 1.00 m. ● Compact and safe. 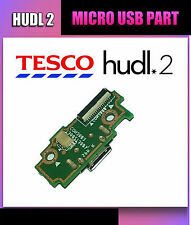 Used for : Tesco Hudl 1 Tablet (Generation 1 only). Pin Size/ Type: Micro USB Port. 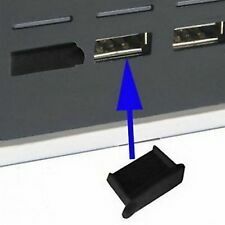 Type: Charging Block Port Dock. Symptoms of faulty DC Power Jack. The socket on the laptop is loose and moves freely. Brand Unbranded MPN Does not apply EAN Does not apply UPC Does not apply UPC Does not apply EAN Does not apply. New genericUSB Data / Charging Cable (Micro USB) for ACER ICONIA TABLET. With your cooperation, we can avoid communication problems. Revolutionary 2-in-1 cable for charging power and transferring data simultaneously. New genericUSB Data / Charging Cable (Micro USB) for ACER ICONIA TABLET. With your cooperation, we can avoid communication problems. Revolutionary 2-in-1 cable for charging power and transferring data simultaneously! New genericUSB Data / Cable (Micro USB) for ACER ICONIA TABLET. With your cooperation, we can avoid communication problems. Revolutionary 2-in-1 cable for transferring data. Cable length - 1m. New genericUSB Data / Charging Cable (Micro USB) for ACER ICONIA TABLET. New genericUSB Data / Cable (Micro USB) for ACER ICONIA TABLET. New generic USB Data / Cable (Micro USB) for ACER ICONIA TABLET. New genericUSB Data / Charging Cable (Micro USB) for ACER ICONIA TABLET. A1 830 Tablet. 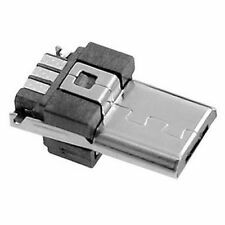 Description: Micro USB Type A 5 Pin, Male Connector, Metal Shield, Solder Type. Total Size : 13 x 7 x 5mm/0.5'' x 0.3'' x 0.2' (L*W*H) Brand Unbranded MPN Does not apply UPC 4894462470176 EAN 4894462470176 ISBN 4894462470176. Description: Micro USB Type A 5 Pin, Male Connector, Metal Shield, Solder Type. 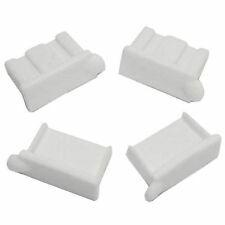 Total Size : 13 x 7 x 5mm/0.5'' x 0.3'' x 0.2' (L*W*H) UPC 4894462470176 EAN 4894462470176 ISBN 4894462470176 MPN Does not apply Brand Unbranded. Description: Micro USB Type A 5 Pin, Male Connector, Metal Shield, Solder Type. Total Size : 13 x 7 x 5mm/0.5'' x 0.3'' x 0.2' (L*W*H) Brand Unbranded MPN Does not apply UPC 4894462470176 EAN 4894462470176 ISBN 4894462470176 Designer/Brand Unbranded.